A man obsessed with bringing on the apocalypse creates a device that elevates paranormal activity in the hopes to create an opening between our world and the ghost dimension. Meanwhile, three scientists trying to prove the existence of ghosts develop equipment that can hold and trap ghosts for study. Along with the help of a subway worker who knows New York like the back of her hand, they form the Ghostbusters and fight to stop the oncoming apocalypse. Remember when it was announced that Hollywood was going to be rebooting "Ghostbusters" with four women and people across the internet lost their collective gourds? The original film from the 1980's is and continues to be the last straw for some people when it comes to movies being remade, rebooted, sequelized, or given a modern vision, apparently rendered untouchable by some. We like the original "Ghostbusters." BigJ even grew up with it and has very fond memories of it. Guess what? WE LIVED after watching this remake. You can, too! 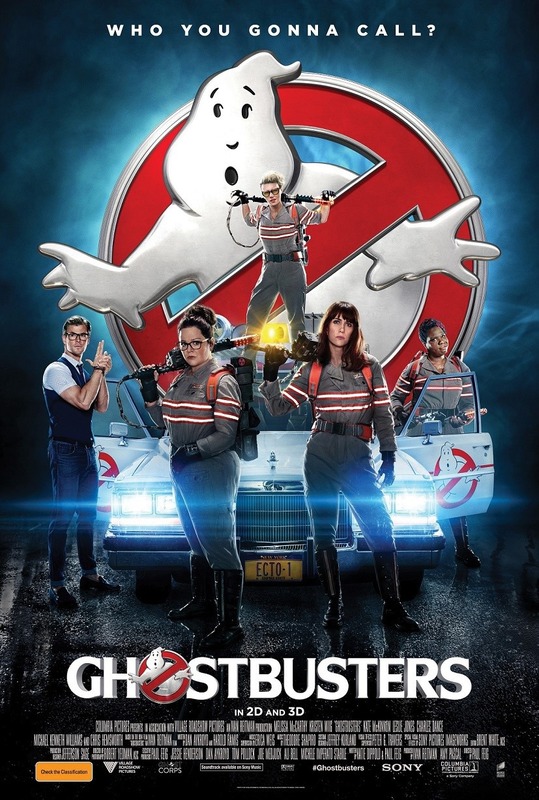 Directed by Paul Feig, "Ghostbusters" is a remake, reboot, re-imagining, or whatever you want to call it of the 1984 classic of the same name. This film takes place in a world where the 1984 film never existed. It stars comedy staples Melissa McCarthy and Kristen Wiig, as well as recent breakout SNL stars Leslie Jones and Kate McKinnon, plus one of the manliest men working in Hollywood today, Thor, aka Chris Hemsworth, in a casting choice that might have been made in an effort to balance out all of that pesky estrogen. Three scientists, Abby Yates, played by McCarthy, Erin Gilbert, played by Wiig, and Jillian Holtzman, played by McKinnon, are investigating the existence of ghosts. A man named Rowan North, played by Neil Casey, a man who has been bullied and beat down all his life wants to bring on the apocalypse, so he creates a device that amplifies paranormal activity. This helps ghosts actually materialize, and despite capturing footage of the ghosts, skeptics still call these women frauds. In order to combat the naysayers, they develop equipment that will allow them to catch and keep a ghost as proof. Meanwhile, an MTA worker named Patty Tolan, played by Leslie Jones, spots a device and a ghost in one of the subway tunnels, so she finds the Ghostbusters and offers her knowledge of New York City and a car to aid them in their work. 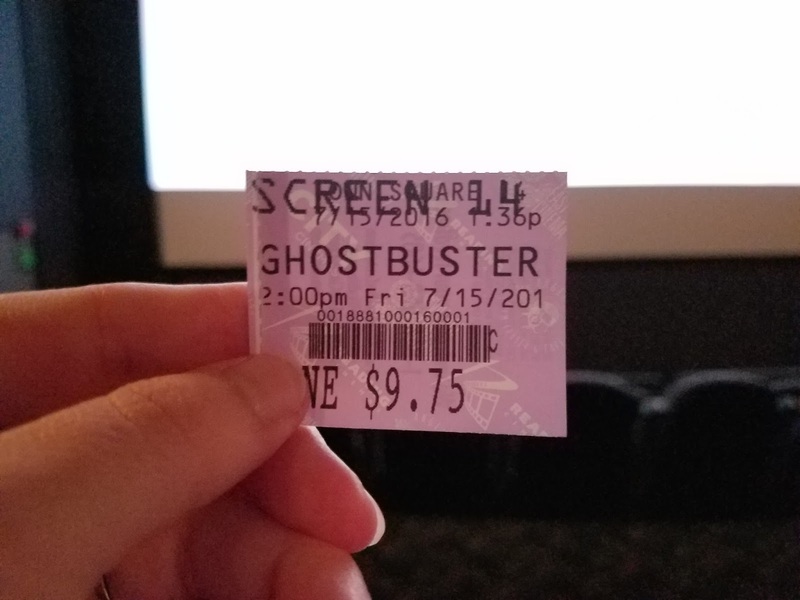 From the day "Ghostbusters" was announced, this movie has received criticism and has been under fire from an onslaught of the aforementioned internet nerd rage. When we saw the first trailer for this film, the only thing running through our minds was "wow, this doesn't look that funny." No matter, the second trailer had a couple of good laughs, but now that we've seen this remake, we think Sony screwed the pooch on the marketing for this movie just a little bit. The film doesn't shy away from the fact that everyone involved knows what people have been saying, and they get their digs by pushing on any and all buttons the haters might have. Look, BigJ and I both love the original "Ghostbusters," and this movie being made doesn't stop the original from existing. You can still go watch it if you dislike this new one. This film is a completely separate Ghostbusters origin tale. Much like the original, it has a simple story and is mostly reliant on the chemistry of its four principle actors. These women do a great job working together. Each of these four actresses seems to play to their strengths, and none of them act as a carbon copy of any of the characters from the original film. Leslie Jones and Kate McKinnon manage to garner a lot of laughs and steal the show for us, not to say Kristen Wiig and Melissa McCarthy aren't good because they are, but we definitely favored McKinnon and Jones' characters and performances more. Chris Hemsworth is also in this film and does a great job as the Ghostbusters' unbelievably stupid secretary named Kevin. Kevin is hired more because of how he looks and a lack of other applicants and not because of his talents. Many viewers will be quick to point out that the male characters here are either portrayed as stupid and incompetent lunks, as jerks, or as stupid and incompetent jerks, but it honestly didn't bother us. We laughed pretty consistently throughout the film, though there a few instances where jokes either fall completely flat or are a little too silly for our liking. Overall, there is at least a moderate amount of fun to be had watching this sci-fi adventure comedy that just happens to be named "Ghostbusters." For those who are willing to give it a fair chance like us, you might be pleasantly surprised. If you hate it, fine, if you like it, fine, but this film is in no way, shape, or form deserving of the vitriolic hatred and the sheer and utter disgusting disparagement it has been getting online since its inception. Women can be funny, GET OVER IT. One year ago, we were watching: "Despicable Me"